Instant Pot Mashed Potatoes are ready in 15 minutes and you don’t need to drain them! It’s truly life-changing! 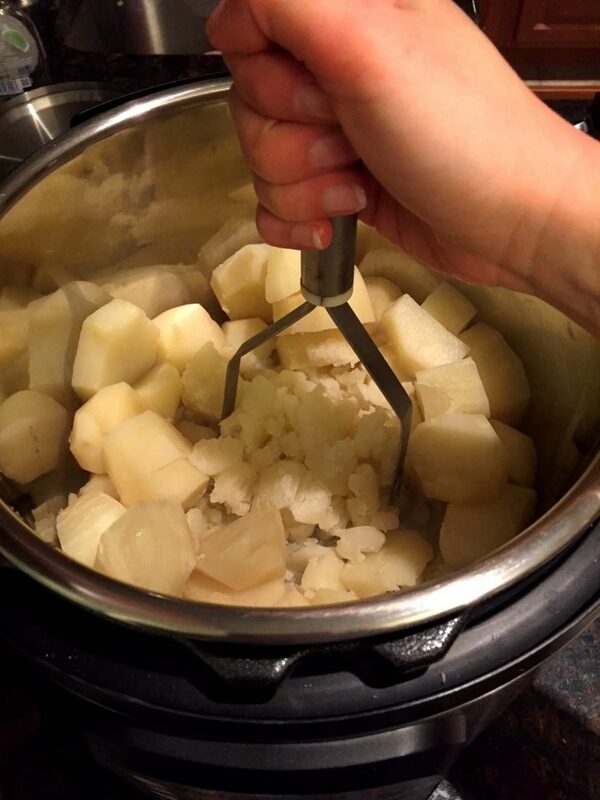 Once you try making mashed potatoes in the Instant Pot pressure cooker, you’ll never make them any other way! They are ready in less than half the time it would take to cook mashed potatoes on the stove, plus you don’t have to deal with a pot of boiling water! 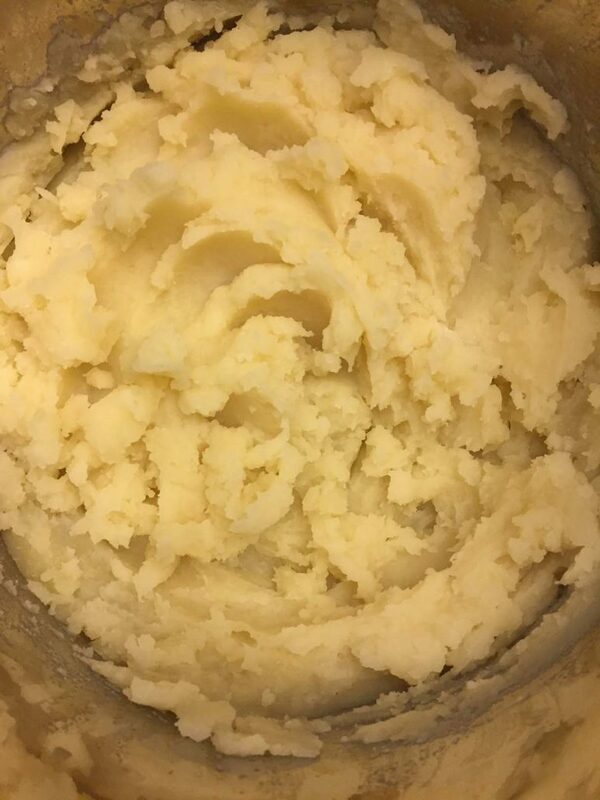 Instant Pot mashed potatoes taste exactly the same as regular mashed potatoes, there is no difference in taste whatsoever. 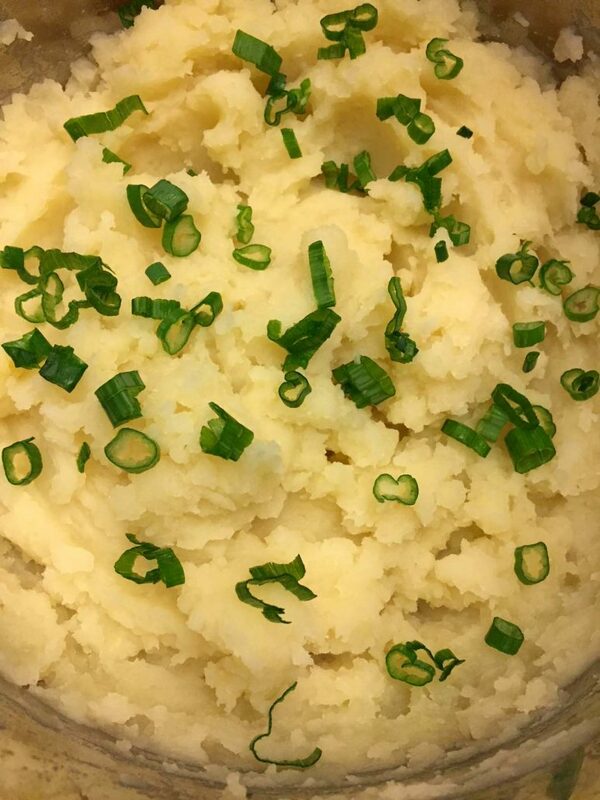 Follow my mashed potatoes secrets to create the most amazing mashed potatoes ever! 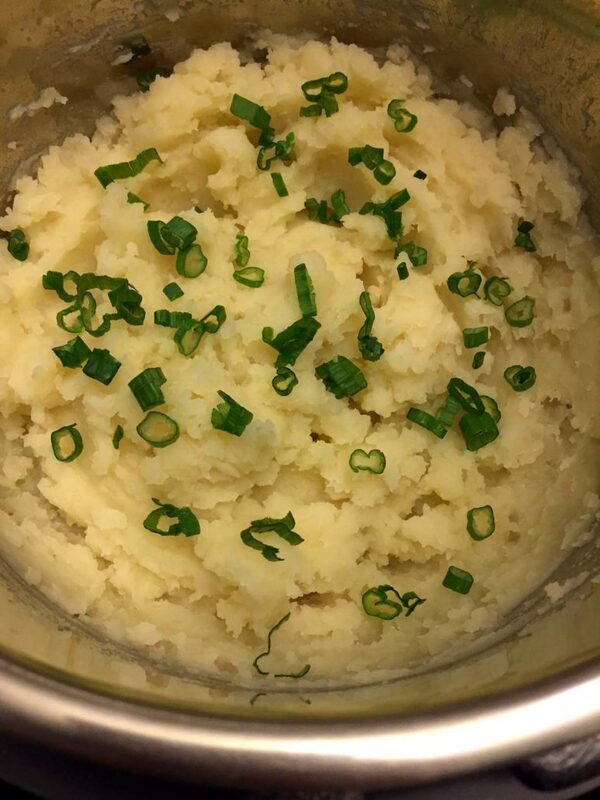 Before I got myself an Instant Pot, I discovered crockpot mashed potatoes. 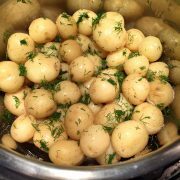 Making potatoes in the slow cooker is also hassle-free and you don’t need to drain them! 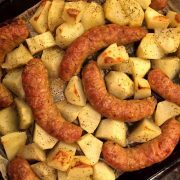 However, it takes hours for potatoes to cook in the crockpot, and only 10 minutes in the Instant Pot! 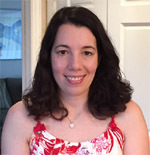 So here’s the evolution of my mashed potato cooking methods: I originally learned how to make them traditionally in a pot of boiling water on the stove, then discovered how to make them in a crockpot and switched to the crockpot method. 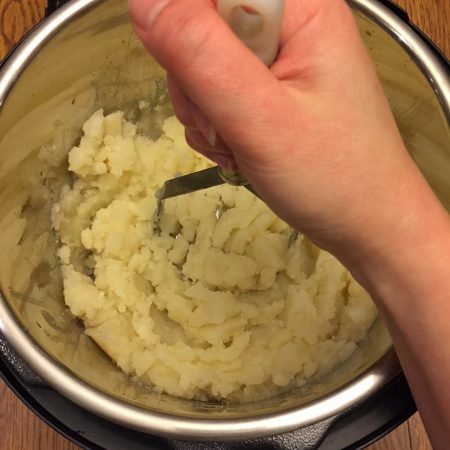 When I got an Instant Pot and tried making mashed potatoes in it, I never looked back! 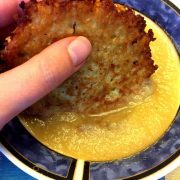 Now if I want mashed potatoes, I make them in the Instant Pot 100% of the time! 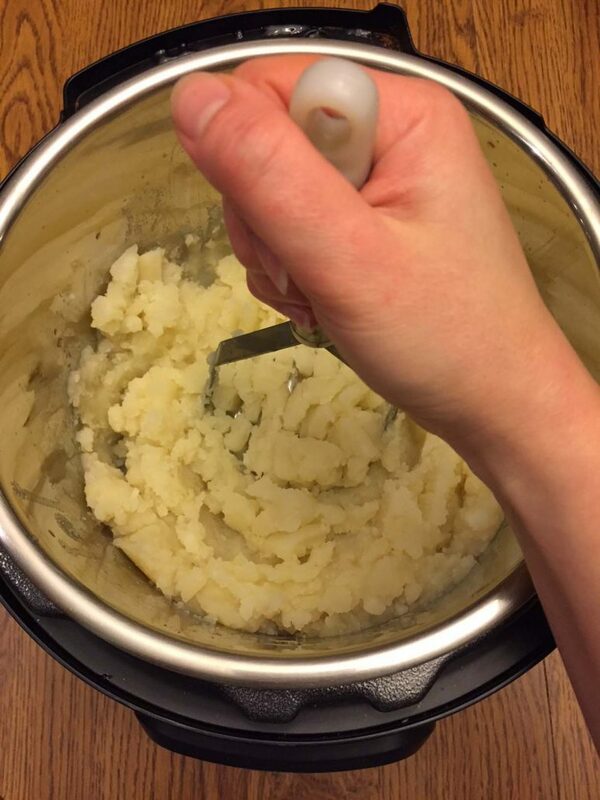 Making mashed potatoes in the Instant Pot is really easy! Just peel the potatoes and cut them into quarters. 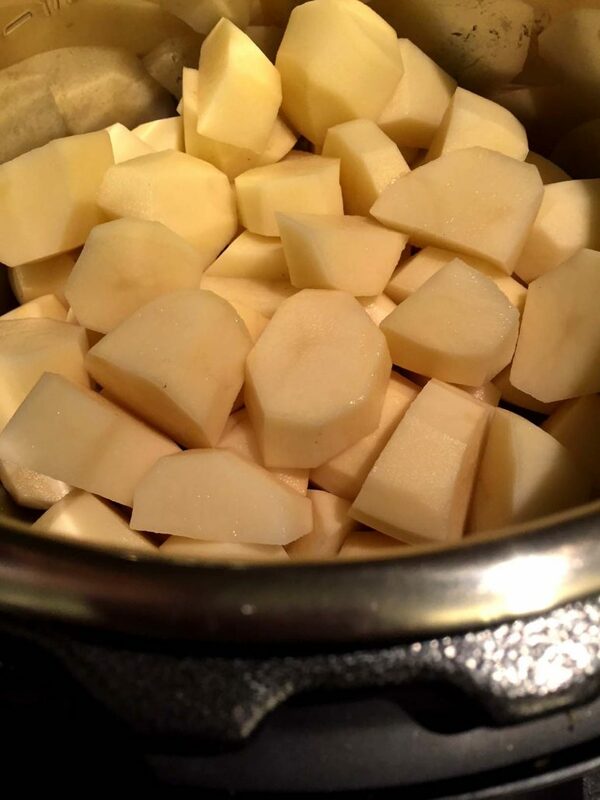 Put the potatoes in the Instant Pot and pour 1 cup of chicken or vegetable stock in the pot (or water). Chicken stock makes the mashed potatoes more flavorful! Press the “Manual” or “Pressure Cook” button on the Instant Pot and set the time for 10 minutes. After it finishes cooking, do the Quick Release of the steam. Mash the cooked potatoes directly in the pot with a potato masher. Add butter, milk, salt and pepper and other desired flavorings to taste. 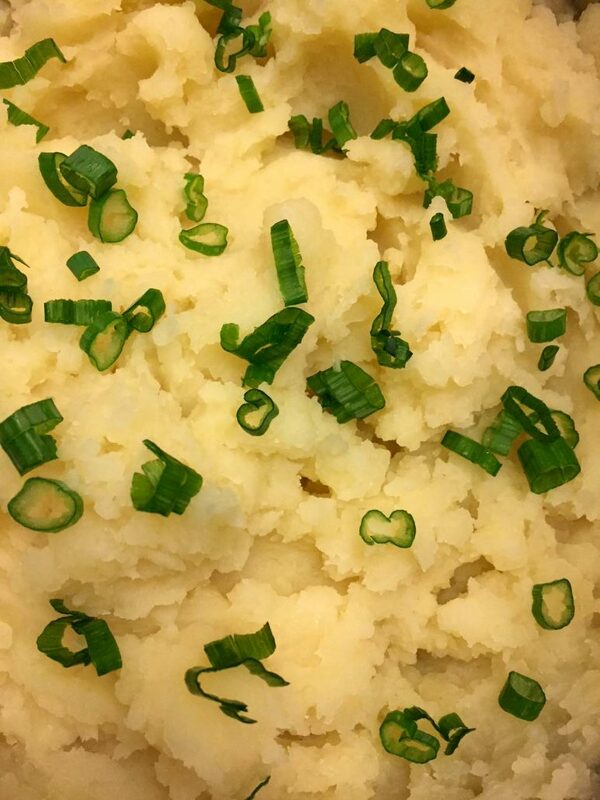 You can add minced garlic too for garlic mashed potatoes – yum! 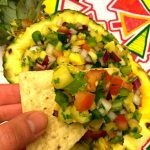 I also like to garnish mine with chopped green onions! 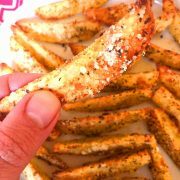 If your potatoes are small potatoes with a thin skin, you don’t even have to peel them! Just cook them and mash them with the skin and all! How’s that for a lazy recipe? Instant Pot Frozen Chicken Breasts – how to cook chicken breasts directly from frozen, plus tons of ideas on what recipes to make with cooked chicken breasts! Instant Pot Frozen Chicken Legs – throw in a pack of frozen chicken legs and take out a delicious lemon garlic chicken dinner! Instant Pot BBQ Chicken – everyone loves BBQ chicken, it does perfectly with the mashed potatoes on the side! Instant Pot Brown Rice – Instant Pot cooks rice perfectly every time, it’s a total replacement for the rice cooker! Instant Pot Meatballs – made from scratch meatballs ready in 15 minutes thanks to the magic Instant Pot! These amazing mashed potatoes are ready in 15 minutes from start to finish thanks to the Instant Pot pressure cooker! Once you try these Instant Pot mashed potatoes, you'll never make them any other way! Pour water or chicken stock in the Instant Pot. 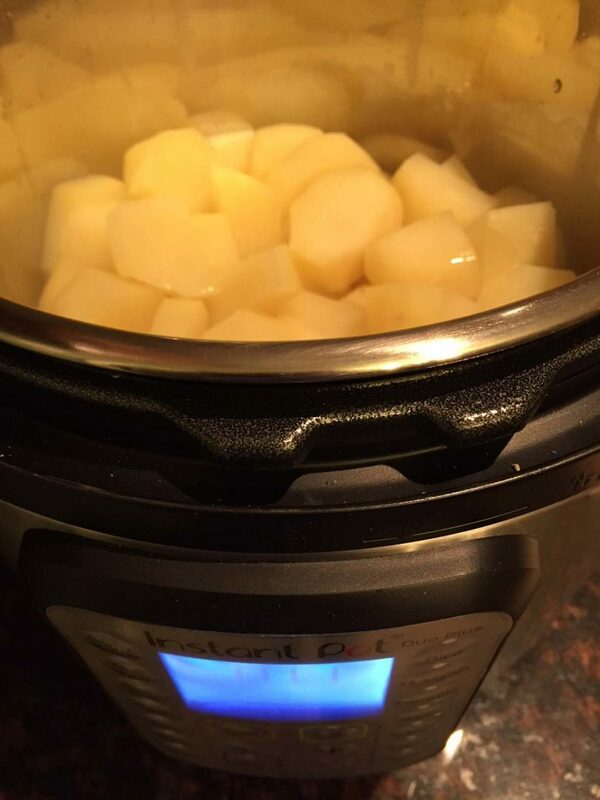 Add potatoes to the Instant Pot. Close the Instant Pot and set the valve to Sealing position. Press the "Pressure Cook" or "Manual" button and set the time to 10 minutes on High Pressure. When the time beeps, use the Quick Release option to release the pressure. 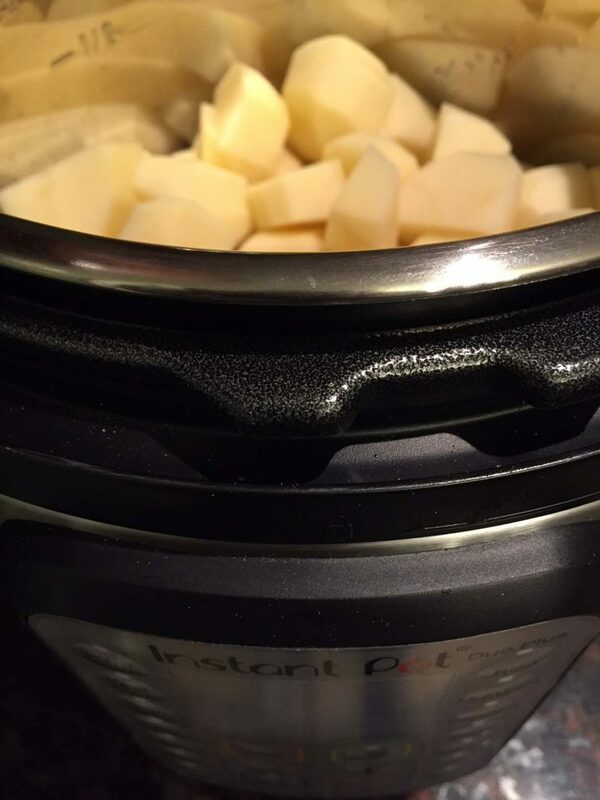 Open the Instant Pot and add butter to the potatoes. Mash the potatoes with potato masher. Add salt and pepper to taste. Add milk until the mashed potatoes reach the desired consistency. 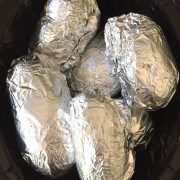 Crockpot Baked Potatoes Recipe - Easy Slow Cooker Potatoes In Foil! 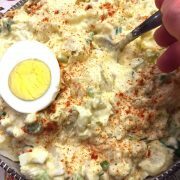 Easy Potato Salad With Eggs - Best Potato Salad Recipe Ever! Hi its Easter and I want to make the whole instant pot with mashed potatoes , which takes 1 cup of water wondering if I can fill the pot with about 16 potatoes for a larger crowd , do I need 2 cups of water since potatoes absorb water ??? love your recipes keep up the good work . 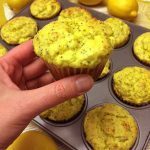 Lemon Poppyseed Muffins Recipe – Best Ever!